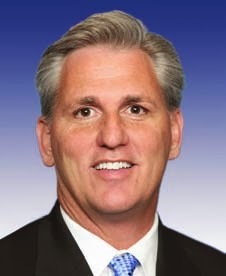 Rep. Kevin McCarthy, R-Bakersfield, announces his appointments to the nation's service academies. academic year. These nominees were selected in a competitive process in which a number of highly qualified 23rd Congressional District high school students applied for consideration. "My principal nominee for the United States Air Force Academy is Mickey Cushine, who attends Independence High School. He is a captain of the Boy’s Baseball team and a member of the Ford Dream Builder Program. He obtained his private pilot license in November and has achieved perfect attendance in Kindergarten through the present grade. He expects to major in Aerospace Engineering or Biology. "My principal nominee for the United States Naval Academy (USNA) is Kyle Mathes, who attends Tehachapi High School. Kyle is Senior Class Vice President and the Captain of the Men’s Varsity Soccer Team. Outside of school, he is a Line Boy for Skylark North Mountain Valley Airport in Tehachapi. He aspires to be an officer in the Navy and command warships, submarines, or aviation squadrons. "In addition to Kyle, Sarah Manges, who attends Centennial High School, received a competing alternative nomination to the USNA. She has received a letter of assurance to USNA that guarantees an offer of appointment after the remaining admissions requirements have been fulfilled and a nomination has been received. Sarah is Forensics Team Leader, ASB Commissioner of Community Services and actively involved in We the People and Key Club. She has also participated in Cross Country and Swimming. She expects to major in Aerospace Engineering and aspires to be a Naval Flight Officer. "My principal nominee for the United States Military Academy at West Point is Drew Francis, who attends North High School. He is active in the North High Future Farmers of America (FFA) Chapter, where he has received numerous awards and accolades, most recently a National Finalist and State Winner in Agriculture Mechanics Design and Fabrication. At North High, he participated in Wrestling and is also active in Ranch Rodeo. He is interested in mechanical design and agricultural systems. "My principal nominee for the United States Merchant Marine Academy at Kings Point is Garrett Silong who attends Burroughs High School in Ridgecrest. He is Varsity Swim Captain and Secretary of the Burroughs High Chapter of the California Scholarship Federation (CSF). His expected major is Biology. "These individuals are tremendously talented and we as a community should be grateful for their commitment to serve. I also want to thank Cam Martin of Tehachapi who works at External Affairs in NASA and is a parent to two Naval Academy graduates; Colonel Lars Hoffman who is the Commandant at the USAF Test Pilot School at Edwards Air Force Base and a 1988 USAFA Graduate; Kern County Superior Court Judge Susan Gill of Bakersfield; and Dr. John Snavely who is Superintendent of the Porterville Unified School District and who served in the United States Air Force for serving on my Academy Interview Committee this year. "As Christmas approaches, I want to wish everyone a Merry Christmas and a joyous holiday season. San Luis Obispo picked as one of the top five college towns in America (no surprise there) and who knew the Border Collie was the smartest of all the breeds? 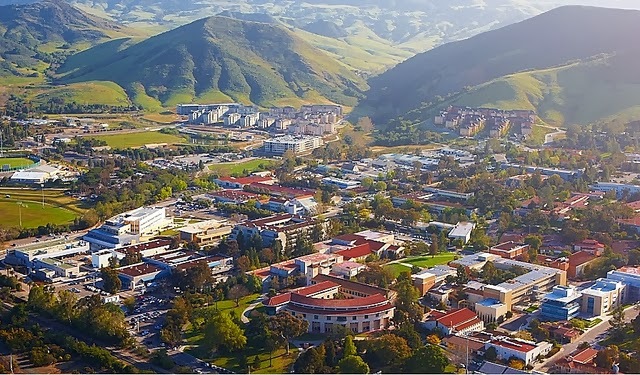 * … COLLEGE TOWNS: This is one list that won't come as a surprise to all you Cal Poly graduates, but San Luis Obispo has been recognized as one of the best college towns in America. That's according to a new survey by Travel and Leisure, which ranked San Luis Obispo as the third best college town in America. Running ahead of Cal Poly were Burlington, Vermont, and Charlottesville, Va. Rounding out the top five were Williamsburg, Va. and Harrisonburg, Va.
* … SMART DOGS: So you think your dog is Smart? Check to see if it makes this list of the smartest breeds. 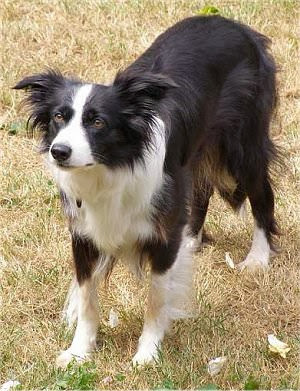 According to a survey of more than 100 veterinarians, the smartest breed is the Border Collie, followed by the German Shepherd, Poodle, Australian Shepherd and Golden Retriever. * … CHRISTMAS MIRACLE? Here's a local version of a near Christmas miracle, compliments of reader Gina Hayden. "Last Saturday morning Sue Anthony from Youth for Christ and volunteer Lewis Lowe were driving up to Camp Owens bringing Christmas dinner to the boys there. The truck Sue was driving blew a tire, shot up an embankment, flipped and rolled back down. Sue and Lewis were banged up but unhurt, but the turkeys, potatoes and pumpkin pies… scattered across the road. They called for help and rescuers came. While Sue and Lewis were taken to the hospital to be checked out, the food was gathered to see how much could be salvaged. As it turned out, all the turkeys and potatoes were fine and the 20 pumpkin pies… ot even the crusts were cracked! Dinner was a little late but it was all there." * … GOODWILL: Mark Wyatt is the principal of the Bakersfield Adult School who was recently singled out for his generosity to a student there. He wrote me with this thoughtful message: "Student success stories are the fuel that drive great teachers to do what they do. There is a symbiotic relationship between student and staff and nowhere is it more evident to me than at Bakersfield Adult School. Difficult for me is to receive or accept any credit for playing such a small part in someone else’s accomplishments. Please give credit where the credit is due, a tenacious student, dedicated teachers, a hard working staff, and a community who supports adult education." * … TOYS: Local Democratic activist Linda Fiddler dropped me a note to tell me about what the local Young Democrats have been up to this holiday season. "They are an energetic group of '20 somethings' that collected over a hundred coats and sweatshirts this fall and donated them to McKinley School for students who needed them. This December they asked people to bring unwrapped toys to all of their events. They have a SUV full of donated toys they are dropping off at the Homeless Center this week. I love these kids!" * … OIL: More good news on the oil front. The Energy Department is now saying that the United States is fast approaching energy independence. 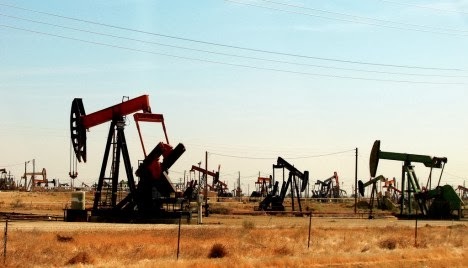 Thanks to huge production surges in North Dakota and Texas, not to mention here in Kern County, U.S. oil production is reaching record high levels and could contribute to a decline in the world benchmark price. Daniel Yergin, an energy historian, told The New York Times that the "United States really is experiencing an energy revolution." * … HONOR: Hats off to Susan Soria, the director of brand marketing at the Walt Disney Co. who recently was honored as one of the most influential Latinos in the entertainment industry. Soria was born in Bakersfield, raised in Visalia and graduated from San Diego State. Her proud grandmother, Zelma Lopez, lives in Bakersfield. * … THEFT: John Mixon had this advice if your cell phone is ever lost or stolen. "Each phone has a unique serial number. If you key in *#06#, a 15 digit code will appear on the screen. Write it down and keep it somewhere safe. If your phone ever gets stolen, you can call your service provider and and give them this code number. They will then be able to block your handset, and your phone will be totally useless. You may never get your phone back, but at least you will know that the thief can't use it either. If everyone did this, there would be no point in stealing mobile phones." * … OVERHEARD: A patient at Mercy Hospital is telling a visitor: "My cat trained my pit bull how to use the litter box. Really." * … BAD FORM: A local grandmother was out at the Southwest Baseball park watching her grandson pitch when she had this encounter with the mother of an opposing player. "I said 'strike him out' when this mother from Taft told me to shut my mouth or she would shut it for me. I was so disappointed that she wanted to fight over a baseball game. Can't I just root for my grandson?" * … MORE GOOD FORM: And Etta Robin shared this experience at the local Albertson's on Stockdale Highway and Coffee Road. 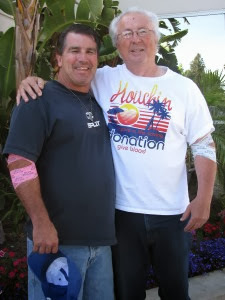 "I recently purchased two gift cards for my granddaughters from Albertson's. The cashier was kind enough to indicate the particular gift cards that would provide me with a personal benefit of a $20 coupon for groceries at Albertson’s, so those were the cards that I purchased. A week or so later I noticed that the expiration date on the $20 coupon had expired the previous day. I went into Albertson’s the next morning and asked if I could still use the coupon even though it had expired the previous day. I was told that it was up to the manager. Well, the lovely manager by the name of Dave told me that it was fine for me to use the coupon even though it had expired the day before. And so I did happily use the coupon. I thanked Mike and went home and phoned the corporate headquarters of Albertsons and told them this story. I suggested that they give Mike a pat on the back for such generous customer relations—I do hope that they do so. At any rate this is just a simple kind gesture on the behalf of Albertsons that I wanted to share with you. It certainly put a smile on my face." awakened by noises outside, and when Kunzman investigated, he found a hooded intruder in his back yard going through his tool shed, carefully piling up items to steal. Kunzman pursued the man, grabbing on his legs as the intruder hopped over a concrete wall separating the Kunzman property from the home next door. In hot pursuit, Kunzman hopped in his white Ford pickup and drove the alleys downtown looking for the suspect, eventually finding him on a bicycle riding down 21st Street with two cardboard boxes on his handlebars. "I drove up next to him, going slowly, rolled down my window and grabbed his jacket," Curt told me. "He told me the boxes contained bottles and cans so I told him to pull over and let me see what was inside." The suspect agreed, slowed down and then sped off. The chase continued and later the suspect crashed the bike and fled on foot. Kunzman stopped, threw the bike and the boxes in his truck and called police, who were there in minutes. Inside the boxes? Jewelry stolen from another house just a few blocks away. A suspect was later arrested and charged. * … THEFT: My post about two purse snatchings at local Starbucks drew this response from reader Janice Witcher: "I was at the Starbucks by Target on Rosedale Highway, sitting outside reading a book with my phone on the table. All of a sudden a man grabbed my phone and ran off to a car parked in front of Rubios (conveniently parked backwards and jumped in the car and sped off). I ran after him but the El Camino he was in had no rear license plate. I was stunned to say the least. Just a word of advice from someone who learned the hard way, never put your phone or purse on the tables. It is sad to see how desperate people have gotten." * … GOOD FORM: The author of this note wishes to remain anonymous, but it speaks for itself. "I work at the Bakersfield Adult School and wanted to share something about an extraordinary individual that I work with. A student came up to me the other morning and mentioned that he had overheard another student talking about how overjoyed he was that he was indeed going to be able to participate in our December 20 Commencement Ceremony. =Apparently he was not going to be able to accept his diploma due to not having the money to purchase his cap and gown. It is heartbreaking to see such strive and perseverance not be acknowledged because of a minimal monetary expense that for most of our students can be a huge dent in their pocket book, something that some of us may take for granted. Well it turns out that our wonderful Principal Mr. Mark Wyatt heard of this and he himself took the student to purchase the cap and gown needed to walk and received that hard earned diploma. This is what the true meaning of Christmas is to me and how this school is filled with truly self-less staff members who care about our students." * … MEMORIES: Erica Langstron wrote to remind me that the "little green store" near the airport is still operating and serving the community. "It is owned now by a wonderful family that has been a great boost to our Oildale community," she said. "We have known them since they were first here. We have watched our children grow up together, shared joys and sorrows. No, you no longer can see the terminal, but we all look up and see the beautiful cloud formations, sunsets and gifts all around us. The memories abide." "This week, Congress took a small step forward in moving back to regular order with the House passing a budget agreement and also approving the National Defense Authorization Act to fund our military to ensure that they have the resources they needed to defend us around the world. "The House also passed the Gabriella Miller Kids First Research Act that provides additional funds for targeted and coordinated pediatric medical research at the National Institutes of Health. The additional funding will be provided by ending the funding of political party nominating conventions with taxpayer money. Whether its childhood cancer, autism, or juvenile diabetes, this legislation would be an important step to helping our scientists and researchers find cures for many of our childhood illnesses. "Health and Human Services Secretary Sebelius testified before the House Energy and Commerce Health Subcommittee as she continues to deliver more bad news to the American public on Obamacare. She admitted that health plans on the group market could be cancelled, that many of the exchanges are still not complete, and that individuals who may have enrolled may not really be enrolled due to errors and incomplete files. In addition, the Administration now is calling on additional delays for different parts of Obamacare. The American people deserve better and we will continue to work to stop the harmful effects of this unworkable law. "Finally, for those who are football fans, Bakersfield is certainly making its mark. I wish the best of luck to the football teams of Bakersfield High School and Bakersfield Christian High School as they represent our community tonight earning spots in CIF State Regional Bowl games! And as the college football season comes to an end, I know many of us are excited to watch the de facto “Bakersfield Bowl”; as quarterback Cody Kessler of the University of Southern California (USC) plays Fresno State, with quarterback Derek Carr, in this year’s Las Vegas Bowl. In addition to these two quarterbacks, we have Andre Heidari, Cody Temple and Craig McMahon on the USC roster and Brian Burrell, Shannon Edwards, Kyrie Wilson, and Patrick Su’a on Fresno State’s roster as well. Good luck!